The powerful, decision-making Federal Open Market Committee (FOMC) of the US Federal Reserve concludes a two-day meeting today as markets wait for hints of the timing of an expected interest rate hike. While the Federal Reserve will also closely examine the state of the US economy by looking at consumer confidence, inflation, the labor market and US home sales, it is likely that China’s struggling economy and the falling prices of commodities will dominate their discussions. There are two likely scenarios: In the first, the FOMC will point to a strengthening US economy, lowered unemployment rate of 5.3 per cent, and confidence that a two per cent target inflation rate can be reached in the medium term as indicators of a healthy economy. In this scenario, the FOMC could recommend raising interest rates before the end of the year, reiterating a statement Fed Chief Janet Yellen made before Congress last month. However, it will not specify a date – preferring to wait for more data ahead of its August meeting – leading many to predict that interest rates will be begin to gradually rise in September. But the status of Chinese markets could derail any plans for imminent rate increases. The Shanghai Composite index plummeted 8.5 per cent on Monday, a dramatic decline not seen since 2007. On Tuesday, it dropped 1.7 per cent to close at 3,663.
that it will maintain prudent monetary policy in the second half of this year by maintaining the policy orientation and flexibility of multiple monetary tools to ensure that liquidity stays at an appropriate level. Meanwhile, traders said China’s central bank will also inject 50 billion yuan ($8.05 billion) into the money markets through seven-day reverse bond repurchase agreements on Tuesday. The central bank’s action slowed the decline, but did not immediately turn the trend. 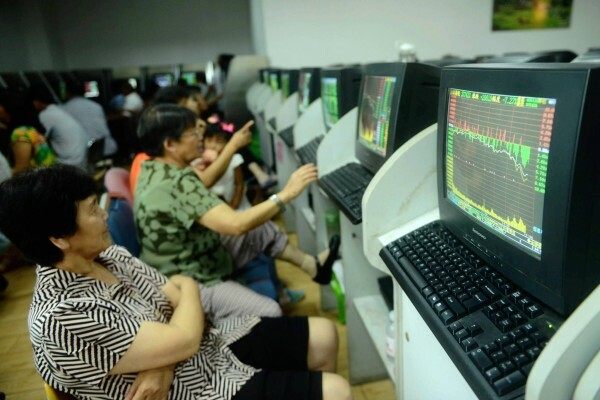 On Wednesday, the Shanghai Composite index had first fallen to 3,612 before rising to 3,722. It continued to rollercoaster for the remainder of the day. At 2:30pm Shanghai time, it had climbed back up to 3,693. In its June statement, the FOMC warned of the impact such a ‘shock to the system’ could have on global and US markets. As a result, in the second scenario, the FOMC statement could indicate a cautionary stance supported by other indicators such as slow pay growth and lack of full-time jobs pushing many to work part time. The FOMC would likely reiterate that it believes that its monetary policy will remain highly accommodative for quite some time.